My daughter is Cinderella. 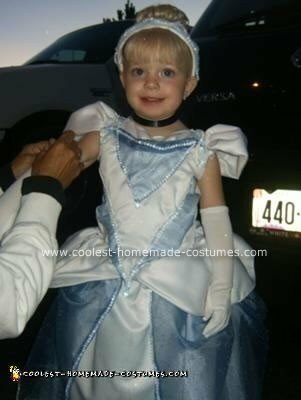 My mother-in-law made the Homemade Cinderella Halloween Costume. It’s all handmade, every piece of it!